There. Right there. Did you see it? Did you hear it? Did you feel it? Go back if you must, and read it again (I did, several times). Displayed therein is one of the most beautiful aspects of poetry—how just a few words can evoke a sense of majestic age, proud splendor, crumbling ruin, and haunted longing. 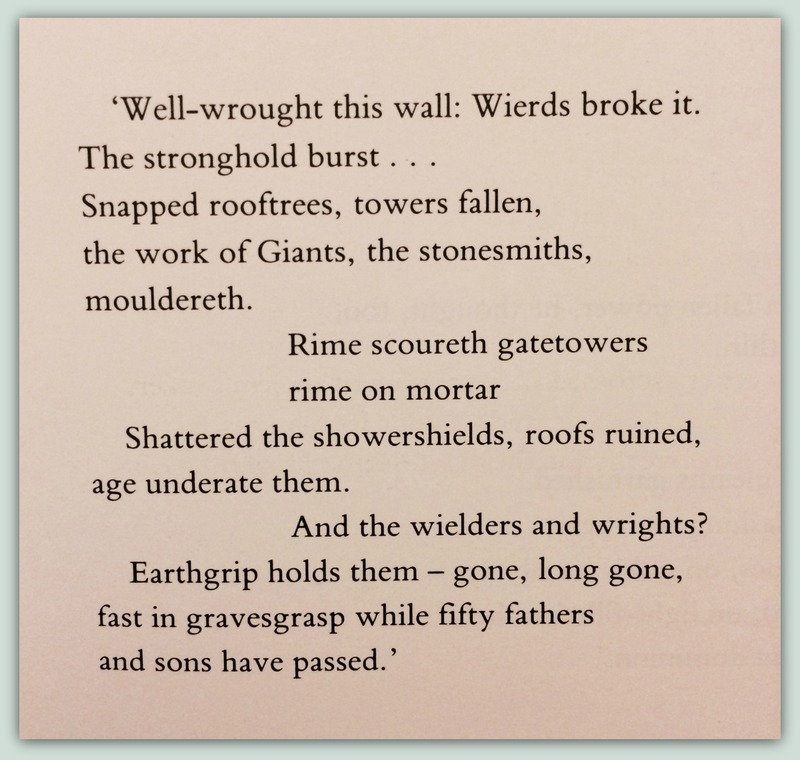 In just a few words, the poet perfectly captured the soul of the ruins. Not to mention the poet’s commendable use of the words rime and Wierd. The verse also hangs a question in the air, leaves it swirling, begging to be noticed. Why. Why? Why do we love them? 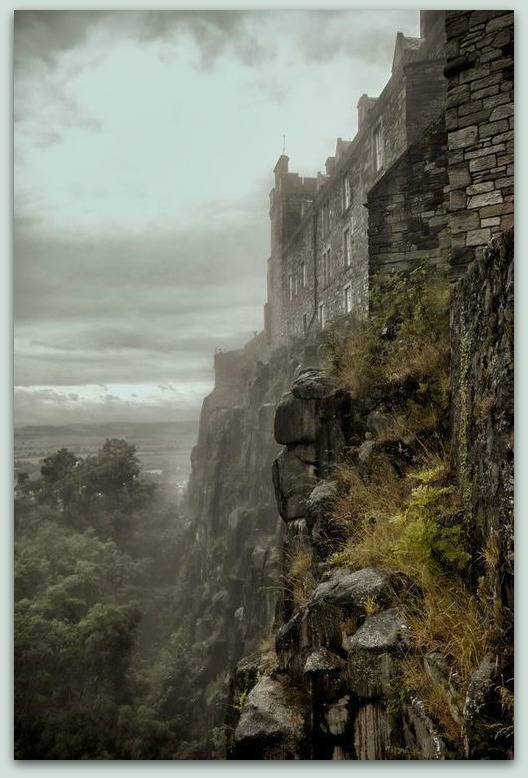 What is it that draws humanity to castles? Why do we make pilgrimages to the monolithic remains of bygone ages? Why do we reverently tread timeworn paths, silent in wonder at the faded arches above our heads? There is something romantic in the idea of castles certainly. So little remains of that time long ago—they say it only takes four generations before the memory of the average human is wiped from existence. We really know nothing of the people who lived within the walls, and only the barest speculation can be made as to events that occurred. Their history is but a framework, filled with gaps and holes. Yet what history leaves out, the mind fills in with memories, dreams, and imaginings—it is this that lends us a closer connection to bygone ages, and why we view them with such romance. However, perhaps there is something even deeper—deeper than the ancient foundations. Gazing up at turreted walls that have stood for centuries and will likely stand for centuries more is enough to make anyone feel small. These outward shells, our earthly vessels, are perishing. Our fragile frames, bearing the weight of this fallen world, will not endure forever. And an awareness of our own weakness and mortality is enough to evoke a sense of reverence and wonder. Time will have it’s victory, and leave us as but crumbling ruins. Yet time is not supreme. Time is but another part of creation, and what a joy it is that the Creator is greater than His creation! Standing below the might of ruined towers, the sense of smallness remains, but greater still is the comfort of knowing that the One who created time itself is also the One who holds all of creation in the palm of His hand. When considered this way, castles are but another element of God’s general revelation. How sobering is our smallness. Moss creeps o’er stone, wind bites at rock, and water erodes foundations—even the mightiest monuments of men are brought low, bowing in meek and crumbling submission to the Creator. Poem inspired by the BBC show Doctor Who. … Just in case my fellow Whovians haven’t had their dose of feels this morning. So here you are. Have a whole armful of them. You’re welcome. The hands of the clock.